This morning, I thought I’d talk about a book I read recently. I’d like to give a little insight on it (without giving the plot away, of course) and encourage you to learn a little from it. TH1RTEEN R3ASONS WHY is a novel by Jay Asher. In short, the story is about what leads a girl, (Hannah Baker), to commit suicide. And although suicide is a serious topic- not to be taken lightly, I was more intrigued by the way the story was told rather than the actual plot. You see, before Hannah commits suicide, she makes a collection of cassette tapes. On these tapes, she records herself explaining what led her to killing herself (essentially, the 13 reasons). So the novel is a flash back and forth between real time and hearing what’s on these tapes. 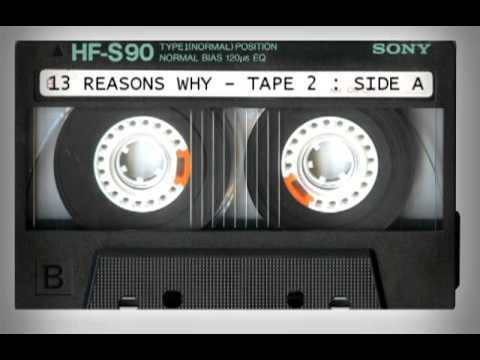 The story begins in the present with protagonist, Clay Jensen, (who is the listener of said tapes), and flashes to the past every time he presses play on the tape player. I found Asher’s unique way of writing in real time, while recapping the past events through these tapes really neat! The way he intertwines the two perspectives (Hannah’s and Clay’s) is fascinating as well. As far as the actual story goes, it’s a total page-turner. The chapters are broken up by sides of the cassettes; that made me want to keep reading to see what the next tape would be about. But, alas, I’m not here to persuade you to read this book. I’m not here to give you a 9th grade book report on it either. I just wanted to share this idea with you so maybe it would inspire you to try some different angles with your writing. Feel free to share with us some of your favorite books and what stands out to you in them. We appreciate your feedback! Have a great weekend. Stay out of jail and the hospital. PS. You can actually listen to the tapes here. I do recommend you read the book first.